As you can imagine, I meet lots of mums in my studio – some are first time mums to be and others are now expecting their second child. 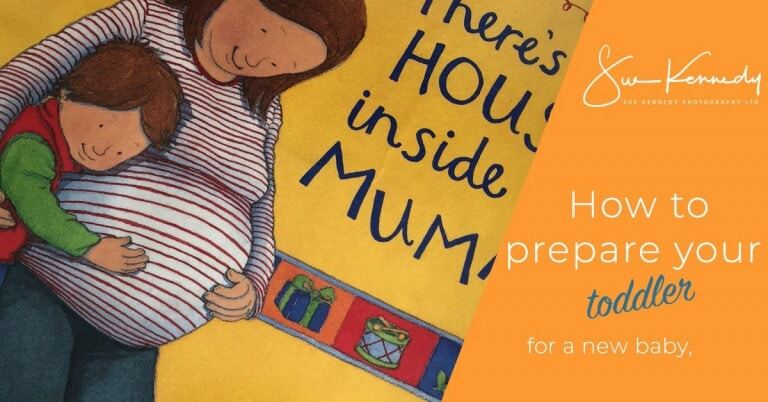 One common theme amongst mums expecting baby #2 is how to prepare your toddler for baby’s imminent arrival. When your new baby arrives, your life will be turned on its head again so, plan ahead whilst you can. A common problem for mums with new babies is that they often see their older child as more grown-up than she really is, because this new little person really is so very tiny and completely dependent on you by comparison. If you are going to need your toddler to be a little more self-sufficient, then you need to make time to teach her the skills she will need going forward. You’ll need her to do things for herself when you’re occupied with the baby. Having a routine in place for your toddler before the birth will help massively when baby arrives. Think about the practicalities of how life will change when you’ve got two or more kids to think about, such as, is your toddler sleeping in her own bed at night or still disturbing you? Can she feed herself? Is she toilet-trained? There’s probably little point in telling your toddler that you’re having another baby, until there is something for them to see! When your bump gets noticeable, talk to your toddler about the baby growing inside, let her feel the baby kick and talk to the baby; all of this creates excitement for your ‘not so little one’. Draw her attention to families where there are more children. Point out in everyday life, brothers and sisters playing together and talk positively about the fun of having someone to share things with. Invite friends with new babies to your home or visit playgroups where other new mums have babies and toddlers. Read books about toddlers and babies, such as Shirley Hughes’ Lucy and Tom stories, ‘There’s a House Inside my Mummy’ by Giles Andreae and Vanessa Cabban, and ‘I’m a New Big Sister: A Princess Polly Book’ by Amanda Li. There are quite a few books out there that can help you sow the seeds of what’s to come. Let her help paint the baby’s room with her own special paintbrush, let her help you choose clothes for the new born, talk to her and keep her informed. Answer any questions she may ask but keep it very simple to understand. Jealousy is inevitable at some point, no matter what steps you have taken to make baby’s arrival as painless as possible. Sharing toys for children is hard enough – imagine sharing your mummy! Try and spend time with your toddler when the baby’s asleep. Give her your undivided attention. Regression is very common. Your toddler may want to go back into nappies or be picked up more because she sees the level of contact you have with baby. Remind your big girl that she can do special things that baby can’t, like using the potty or toilet. Involve mummy’s little helper! When it comes to baby care, let her help you bathe baby, get a clean nappy or help you apply cream on the baby’s bottom. Wherever possible, stick to the routine you had in place before your second baby came along. If your toddler is doing baby ballet or swimming lessons, let them continue because it’s important that she doesn’t start to resent the baby for missing out on what she enjoyed doing before. About the photographer: Sue is a professional portrait photographer based in Harlow, Essex and she specialises in baby and child portraiture. Being a parent, she understands just how special your child is to you and her aim is to produce a collection of images that are natural and meaningful to your family. No two moments are ever the same and she wants to perfectly capture those early precious memories and the natural character of your child. 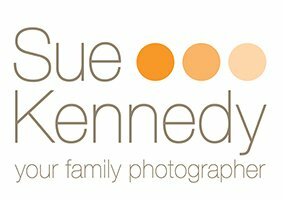 For more information please call 01279 433392, visit the Sue Kennedy Photography website and follow Sue on Facebook or Instagram. « So, how much does a memory actually cost?